Diabetes is a nasty disease that affects millions of people worldwide and continues to increase. It is a metabolic disorder in which the body becomes incapable of controlling the blood levels of glucose, either because the pancreas fails to produce enough insulin (type 1) or because cells in the body fail to respond to insulin (type 2). Untreated, diabetes can lead to cardiovascular disease, stroke, kidney disease, neuropathic pain, gangrene of the extremities, amputations, blindness, and death. In 2014, 422 million people had diabetes worldwide (8.5% of the population). These numbers have more than tripled since 1980 (108 million; 4.7% of the population) and continue to increase due to poor dietary habits and lack of exercise. The annual number of deaths worldwide was estimated at 4.9 million in 2014. The incidence of diabetes is particularly high in the USA and other developed countries, but it is increasing fast in Asia and Africa. In the USA, diabetes has a high impact in Veterans: one in four patients receiving care at the US Department of Veterans Affairs (VA) has diabetes. This makes it a high priority for medical research at the VA.
People with serious cases of diabetes need multiple daily injections of insulin. Failure to administer the insulin appropriately can lead to kidney failure, amputations, blindness, coma, and even death. However, the dose of insulin has to be tuned to the needs of the body. To do this, patients measure the glucose level in their blood by drawing blood from their fingers using needle sticks. This has to be done several times a day in order to calculate and inject insulin according to the blood glucose levels. An artificial pancreas has been developed at the VA to help improve the outcomes for diabetic patients. This device measures glucose in the blood in real time and automatically administers the right dose of insulin. This technology will dramatically improve the patient’s quality of life and reduce life-threatening complications. It would also tremendously reduce diabetes-related healthcare costs. This research project was initiated decades ago by Dr. Seymour Levin, a VA endocrinologist who specialized in diabetes and was horrified by the large number of VA patients who needed amputations because of problems with properly administering insulin to treat their diabetes. He obtained funds from the Mann Foundation. In the early 1980s, the Mann Foundation created a company called MiniMed Technologies to design an insulin pump that patients could wear throughout the day. MiniMed Technologies used dogs at the VA diabetes laboratory to test prototypes of this pump. In the early 2000s the company was acquired by Medtronic, which has been fully supporting this research project ever since. No taxpayer money has been used for it, a detail that seems to be important for White Coat Waste. Taking advantage of new computer technology, the device being developed incorporates not only an insulin pump but also a glucose sensor and software to calculate the amount of insulin to be injected into the blood according to the glucose level. This makes it a true artificial pancreas. Working with dogs allows researchers to do the pre-clinical testing of the artificial pancreas required for approval by the USA Food and Drug Administration (FDA) at the same time that the hardware and the software are refined and improved. Why use dogs for this research project? Animals like mice, rats or guinea pigs are too small for the devices being tested and their blood volume is not large enough to allow for frequent blood sampling without causing them harm. On the other hand, dogs have been an important model for metabolic studies and can replicate human diabetes quite well (much early research into diabetes and insulin relied on research in dogs). They can also be used for long-term studies lasting years, which are not possible in rodents. The sensors and catheters implanted in the dogs are the same ones to be used in humans, and the dogs adapt very well to wearing them. Dogs also like interacting with humans and can be trained to go along with these painless procedures without needing to be anesthetized or restrained. Other large animals like pigs and sheep were tried and were found to be far less suitable than dogs for this work. The standard procedure consists of having the dog rest on a soft bed, unrestrained. Glucose sensors are inserted under the skin and an insulin pump is attached via a subcutaneous catheter (similar to a human patient using these devices). The procedures are painless and the dog soon becomes habituated to them. The dog is given a small amount of glucose solution to raise its blood-glucose level in order to see how the experimental sensor, software, and pump respond. Blood samples are then tested on a large and expensive glucose analyzer to see how well the sensor is working. The dogs in the VA diabetes research project are very well cared for, and the diabetic ones are maintained on insulin pumps. Pet dogs sometimes develop diabetes as they age. Just like humans, they develop cataracts, kidney problems and all the other complications of diabetes. Even when they are given insulin injections under a veterinarian’s care, they all die within 1-2 years. In contrast, the diabetic dogs in this research program are maintained free of symptoms by the insulin pumps and live at least a decade with no cataracts or other diabetes complications. Non-diabetic dogs are adopted out at the end of the study period whenever feasible. 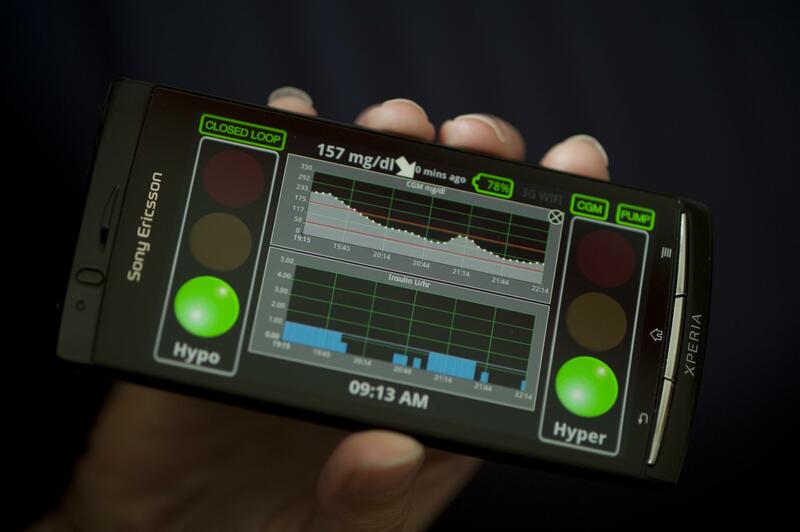 On September 28, 2016, the FDA approved the first artificial pancreas, the Medtronic’s MiniMed 670G System, intended to automatically monitor blood-glucose levels and adjust basal insulin doses in people with type 1 diabetes. The pre-clinical testing of this device was all done on dogs at the VA diabetes research laboratory. However, the research project is ongoing and much work remains to be done. If it is canceled due to political pressure from White Coat Waste, it would be a huge loss for Veterans and the millions of people worldwide who need more reliable ways to treat their diabetes. Grosman B, Voskanyan G, Loutseiko M, Roy A, Mehta A, Kurtz N, Parikh N, Kaufman FR, Mastrototaro JJ, Keenan B. Model-based sensor-augmented pump therapy. J Diabetes Sci Technol. 2013 Mar 1;7(2):465-77. Loutseiko M, Voskanyan G, Keenan DB, Steil GM. Closed-loop insulin delivery utilizing pole placement to compensate for delays in subcutaneous insulin delivery. J Diabetes Sci Technol. 2011 Nov 1;5(6):1342-51. Panteleon AE, Loutseiko M, Steil GM, Rebrin K. Evaluation of the effect of gain on the meal response of an automated closed-loop insulin delivery system. Diabetes. 2006 Jul;55(7):1995-2000. Posted on July 3, 2017 by EditorPosted in Animal Rights News, News, Science NewsTagged diabetes, dogs, insulin, veterans affairs, white coat waste. I hope you will indulge this lengthy introduction of myself. I crave context about a person when discussing these issues with them, so I’m giving you mine. I have a question to ask–one that I hope you will be generous enough to give your response. The question doesn’t require this much framing, but I’m doing it anyway. I want so very much to be able to have nuanced discussions about testing on animals. I’m close to defending my diss and finally getting my PhD this spring from Yale. I’ve already accepted an Associate Faculty position in Native American Studies at College of the Redwoods. (I also teach an Environmental Ethics class once a year. It’s nice to be able to earn my keep in two departments). I did a Master of Environmental Management (MEM) at Yale too, in the School of Forestry and Environmental Studies. At the doctoral level, specific departments (‘Schools’) at Yale do not confer degrees. All PhDs are housed under the Graduate School of Arts and Sciences. From the start, each student’s work is wholly organized around their dissertation. (In fact, admission is predicated on having attracted a professor interested enough in your dissertation proposal to commit to being your Doctoral Advisor). The common set of standards for doctoral students under the Graduate School of Arts and Sciences allows certainty in the quality of degree recipients across highly diverse fields, and reduces bias against quantitative or qualitative approaches. At the same time, the focus on the dissertation forges an independence of thought. It forces you to leave the student behind and cross into being a peer, a peer capable of designing original research and producing new knowledge. I am fiercely interested in methodology—with a firm commitment to interdisciplinary study. I want to understand the paradigms underlying as many methods as I can ingest. During my Master’s work, I insisted on being allowed to ‘cross-train’ in both qualitative and quantitative approaches. To me, they are something of a false binary. Both are needed–and learning about one strengthens our understanding of the other. Ultimately, aren’t they both engaged in the same endeavor? That’s my initial question to any and all of you interested in replying: What are your thoughts about my proposition? To what degree do you think quantitative and qualitative approaches fundamentally undertake the same task? I have very specific questions as well, but I’d love to hear your positions on the relationship between quantification and qualification. Thank you so much for reading, and hopefully responding. Of course both quantitative and qualitative approaches are needed. This is true for most, if not all, scientific disciplines. For example, when you show a picture of a neuron you are engaging in a qualitative description that would be difficult to quantify. Other examples would be the behavior of a particular animal species, the description of the planets in a solar system or the functioning of an ecosystem. However, your question could also be related to the “Culture Wars” and the divide between Science and Humanities. That goes beyond the quantitative / qualitative distinction into more basic questions like what constitutes evidence and what is meaningful knowledge. 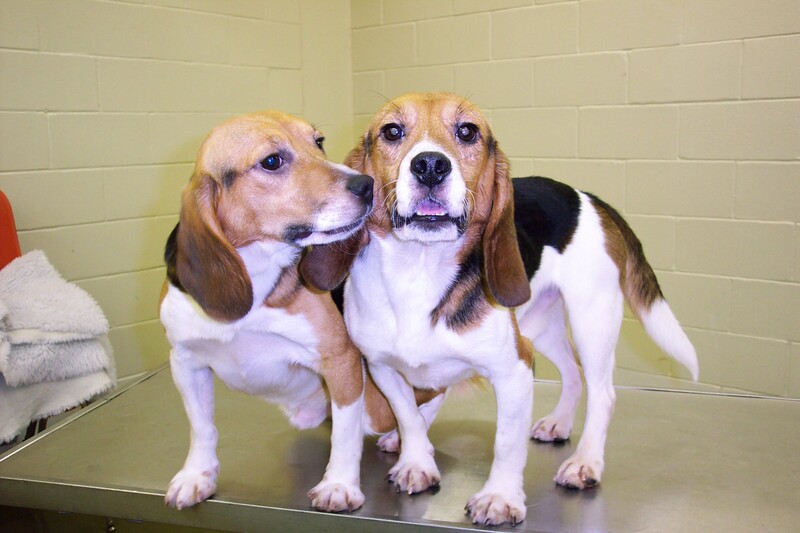 Contrary to what you say, this research in dogs DID translate to humans. The artificial pancreas developed in dogs is now being used in humans. These are the facts, too bad if they contradict your inhumane ideology that would condemn many diabetic patients to suffering. I have personally seen the dogs being used and I can attest that they are being well cared for. They even have a dedicated outdoor enclosure where they are let run free, which is more that you can say for many pet dogs in our cities, that have to be walked on leash. The dogs are not being tortured, that’s an outright lie. Your link is to a site advertising how to make shirts. It looks like you are a troll trying to place free ads. These are valuable, life-saving advances that would be impossible without animal model research. Ethically conducting animal based research benefits animals in a veterinary medical sense as well as improving human existence. Researchers using animals with compassion learn essential facts and make advances in the welfare of ALL life forms.